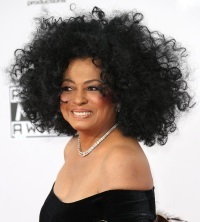 SANTA MONICA, CALIF. (JAN. 31, 2019) — The Recording Academy™ has announced a very special performance by Diana Ross during this year's 61st Annual GRAMMY Awards®. In what is sure to be an unforgettable GRAMMY® moment, the Recording Academy will honor the icon and celebrate the rich history of her greatest musical accomplishments. SANTA MONICA, CALIF. (JAN. 31, 2019) — The Recording Academy™ has announced a very special performance by Diana Ross during this year's 61st Annual GRAMMY Awards®. In what is sure to be an unforgettable GRAMMY® moment, the Recording Academy will honor the icon and celebrate the rich history of her greatest musical accomplishments. Live from STAPLES Center, and hosted by Alicia Keys, the 61st Annual GRAMMY Awards will be broadcast in HDTV and 5.1 surround sound on the CBS Television Network, Sunday, Feb. 10 at 8:00 p.m. ET/5:00 p.m. PT.